MUSEUMRAILS™ is a refined system of modular rail components, offering a flexible, easily reconfigurable, and infinitely reusable solution to many exhibit requirements for interpretive rails and visitor separation. Media Orange completed a renovation of their web site in the spring of 2014. 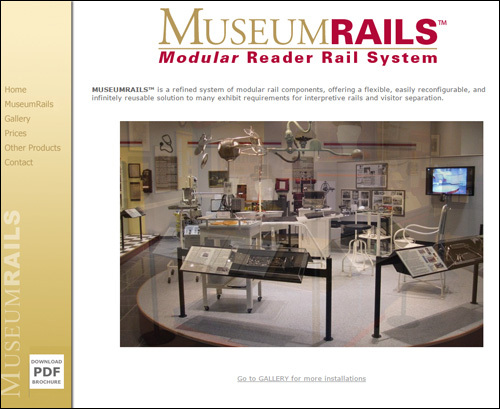 The site features an extensive gallery of images displaying the many installations of the MUSEUMRAILS™ products. The gallery is designed to run on desktop and laptop computers as well as on mobile devices. This compatibility with mobile devices was a critical feature of the project.